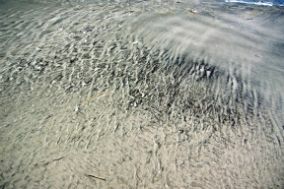 Avalon beaches are more than a summer destination, they are also an important ecologic resource for people and wildlife. There is one thing that is always certain–every time you visit the beach it is different. You may notice changes such as the occasional sandbar that forms​​ offshore or a tidepool that forms on the beach. Why is the beach actually there? It’s because waves are constantly depositing and eroding sand from the shore. This is why tidepools and sandbars are there one day and may be gone by the next time you come to the beach. Waves give us those beautiful white sand beaches where we love to play, and relax. 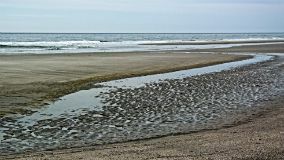 In addition to waves, longshore drift erodes and deposits sand at different spots creating the long and narrow sandbars, called spits, that extend out from the ends of barrier islands. Waves sometimes hit the shore on an angle. 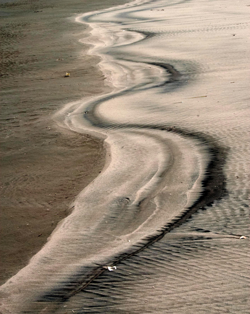 When the wave washes away, it erodes sand at an angle. This is called longshore drift. Jetties are placed on beaches to stop the effects of longshore drift and the movement of sand. 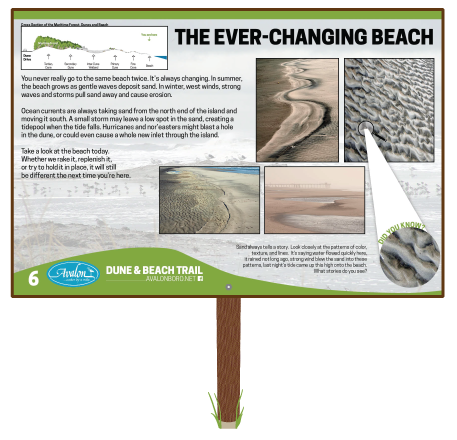 Even though they are built to preserve the beach, they have been found to negatively affect adjacent beaches because they are trapping sand on one beach and preventing it from being deposited on the next beach. Construction on beaches disrupts the natural process of erosion and beach deposition of sand. 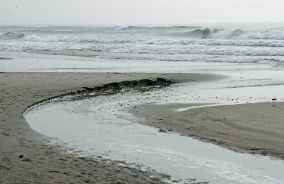 Natural shoreline erosion is not a threat to the barrier island, but is a part of its dynamic equilibrium. Experience The Ever Changing Beach by visiting the beach on two consecutive days and observing the changes.